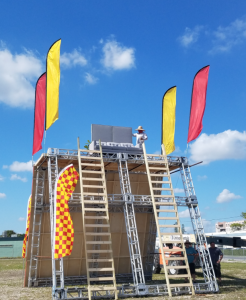 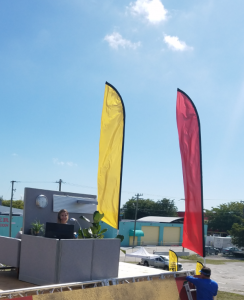 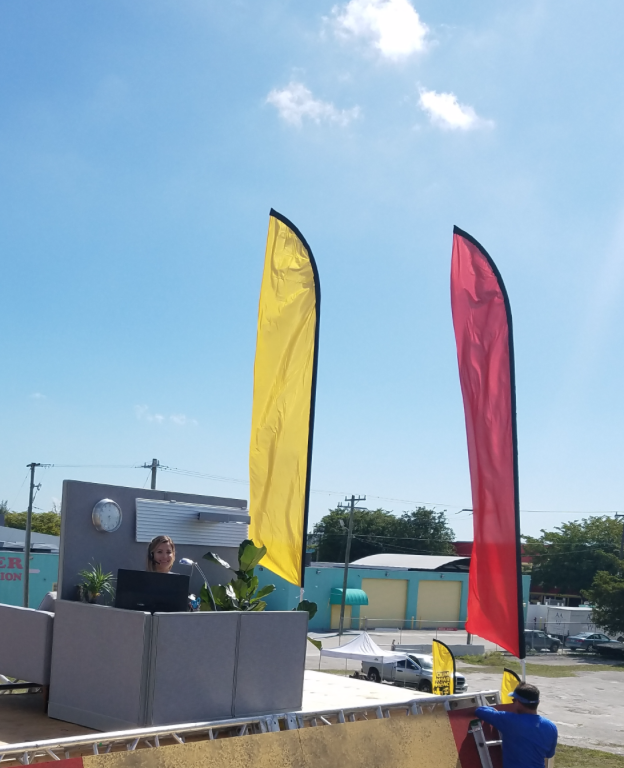 Description: We have 8 of each of these 12′ tall feather flags , plus some in black and white if needed…also the checked one seen here at bottom of wall. 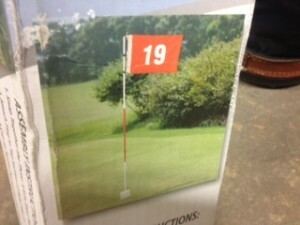 Description: 19th hole golf flag. 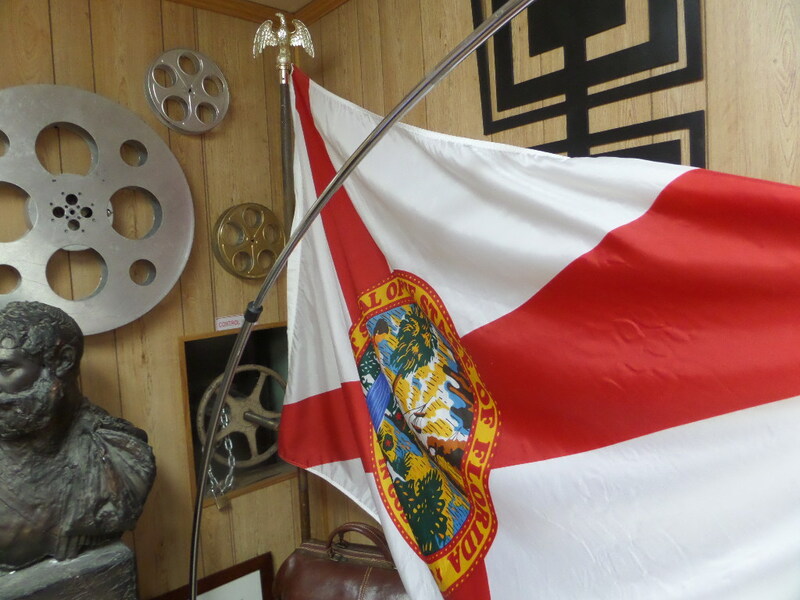 Description: Florida flag and eagle head flagpole. 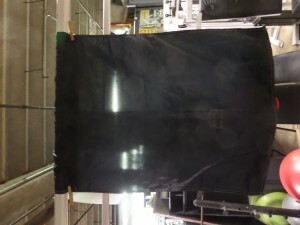 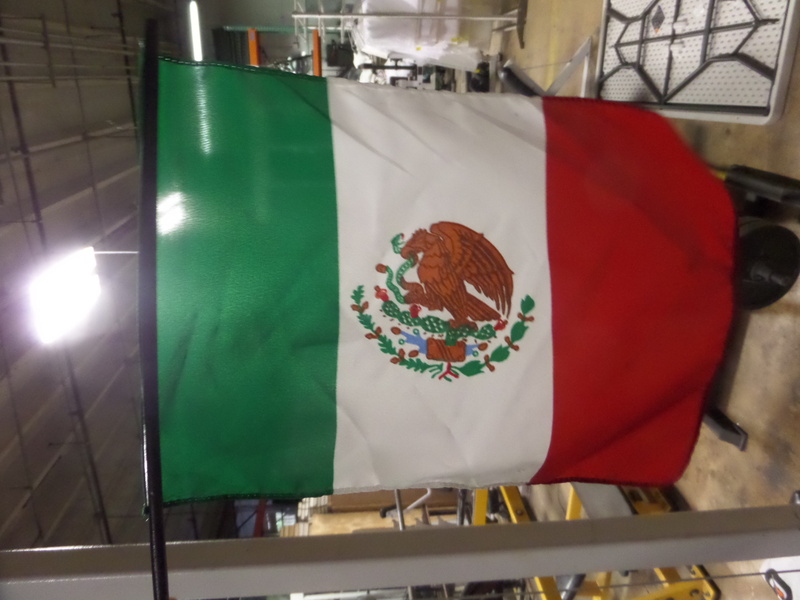 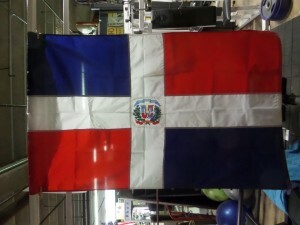 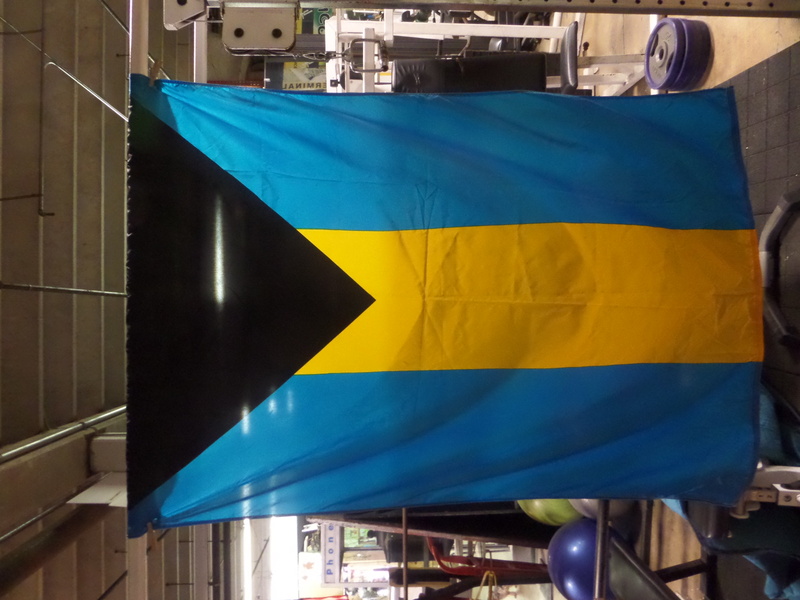 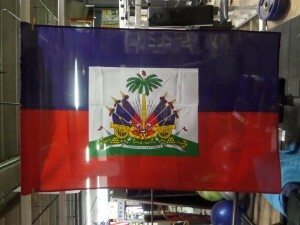 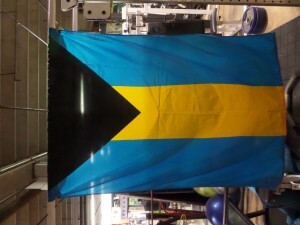 Description: Large 27 x40′ compilation flag. 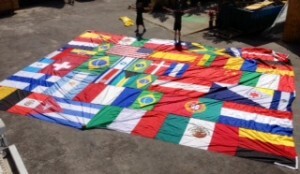 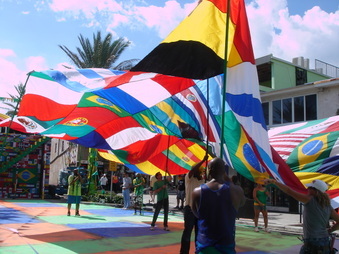 Features a variety of international flags. 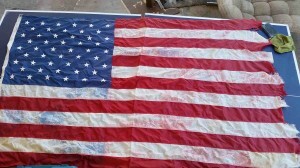 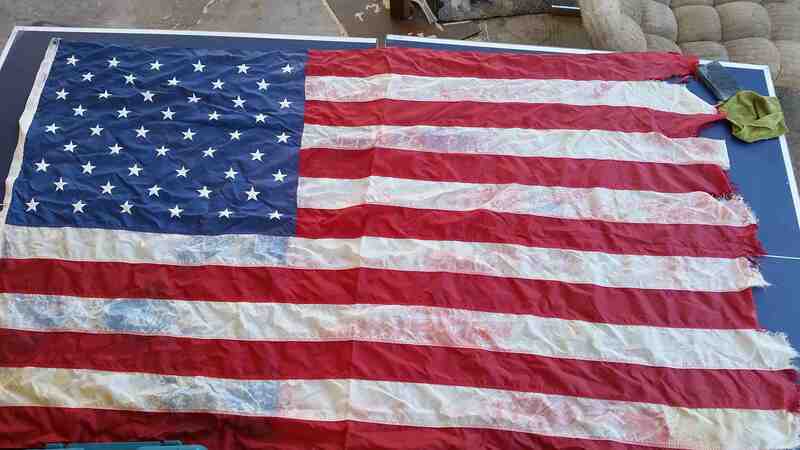 Flag is held up by pole handles that are sewn into flag edges.